Adam Helms’s portraits of militia, political groups, and combatants explore issues of masking and identity. He uses appropriated and found imagery as source materials for his drawings and photographic installations. 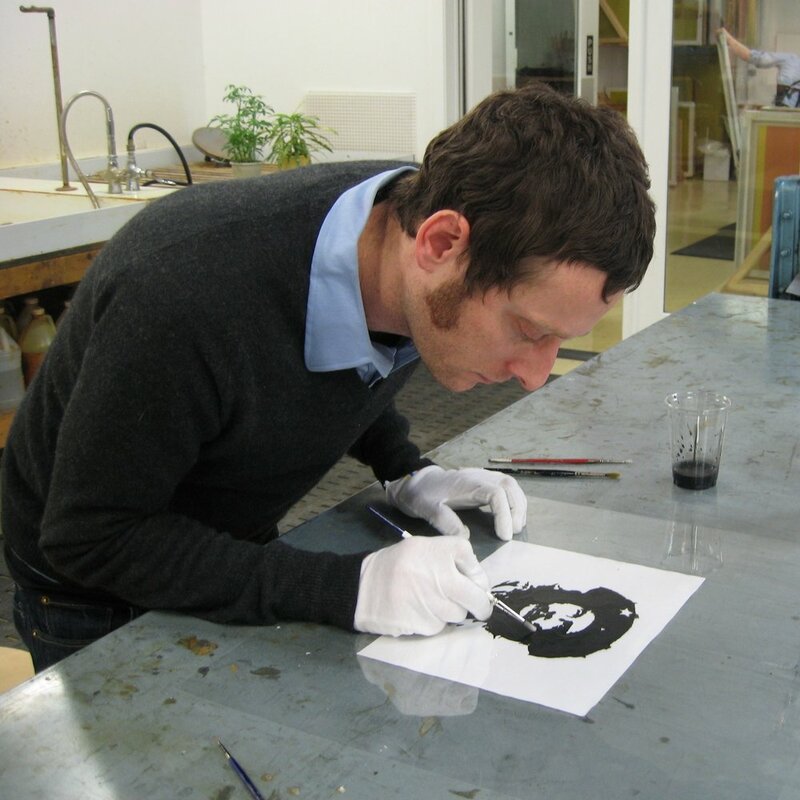 Helms received the Louis Comfort Tiffany Foundation Award in 2005, the Rema Hort Mann Foundation Visual Grant Award in 2006, and was a 2007 artist-in-residence at the Chinati Foundation in Marfa, TX. He has had solo exhibitions at Marianne Boesky in New York, GRIMM Gallery in Amsterdam, World Class Boxing in Miami and the Museum of Contemporary Art in Denver. Helms lives and works in New York City is represented by Marianne Boesky Gallery.